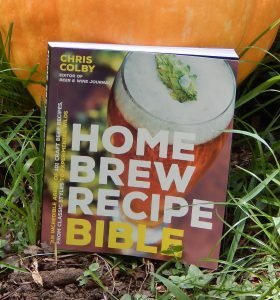 The Home Brew Recipe Bible includes 101 beer recipes — 97 from me and one each from James Spencer (Basic Brewing Radio), Denny Conn (coauthor of Experimental Brewing and Homebrew All-Stars), Dan Ironside (author of Idiot’s Guides: Homebrewing), and Mark Schoppe (two time NInkasi winner). The recipes cover all the major beer styles, including stouts, porters, pales ales, IPAs, strong ales, lagers, sour beers and others. It also contains a few adventurous beers brewed with unusual ingredients — including my Frost Giant Jule Øl, a winter warmer that is spiked with aquavit (a Scandinavian liquor spiced with caraway), and my Beelzeboss saison that uses the soda pop Mt. Dew as part of the brewing liquor. Almost all of the extract formulations include a small amount of base malt and these recipes will make better, more aromatic, beer than the usual extract plus specialty malt formulations. Recipes written this way are technically small partial mashes, but the brewing procedure is almost identical to extract with grains brewing. You don’t need any new equipment and, of course, the recipes details exactly what the brewer needs to do. A few of the extract recipes are given as large partial mashes, when a simpler extract approach would not make the best beer. All the recipes have been adjusted to the same extract efficiency (70%) and use the same hop utilization curve (one very similar to Tinseth’s). So, you can use information gained from brewing one of the recipes when brewing any of the others. For example, if you brewed one of the IPA recipes and it turned out a few gravity points high or low, you can use that information to adjust the next recipe accordingly. Each section gives simple water chemistry advice so brewers can match their water to their grain bill. 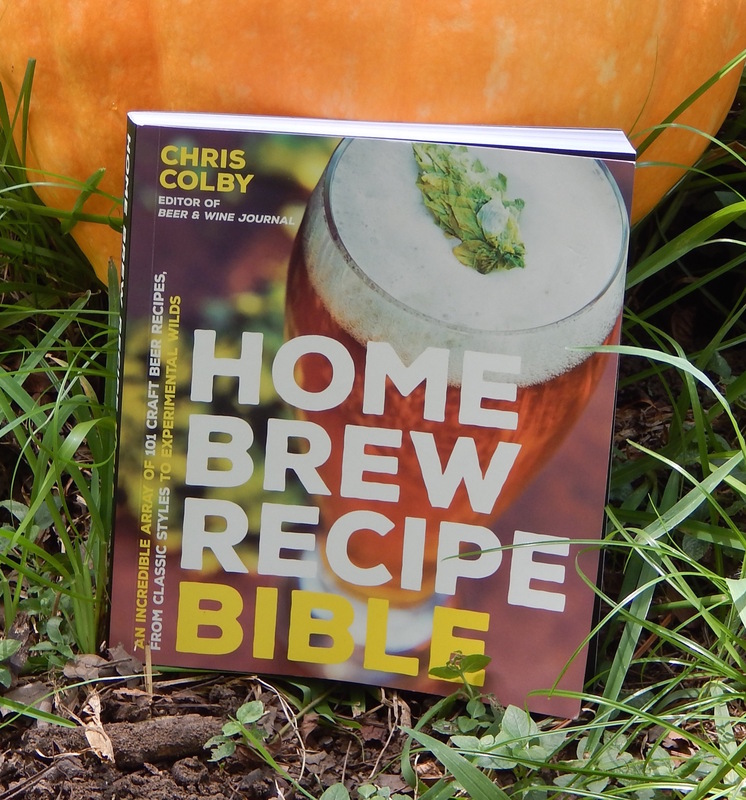 The Home Brew recipe Bible is not just a collection of recipes, however. Many of the recipes include information about techniques relevant to that recipe. For example, the hefe-weizen recipe gives additional information about the ferulic acid rest. And the recipes for helles and Bohemian Pilsner give extra information about single and tripel decoctions, respectively. Other recipes give additional information about ingredients. For example, how sulfates in water affect the perception of bitterness, or why some brewers pay attention to the cohumulone content of their hops. Still other recipes give suggestions on how to tweak the recipe. For example, if you’re making a pale ale, how much rye would you need to add to turn it into a rye pale ale? The idea behind this is that brewers learn best by brewing. 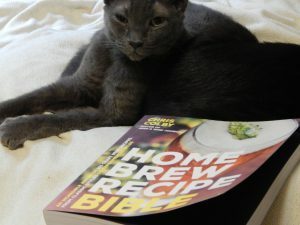 If you learn about a given technique or ingredients while brewing (or reading) about a type of beer you enjoy, maybe you’re more likely to retain that piece of information. I tried to write a book that I would have wanted to read when I got into homebrewing. I hope brewers enjoy and benefit from it. The book is available as a pre-order on Amazon now and will be be in bookstores September 20. Already got it on pre-order from Amazon.com. Really looking forward to it! Thanks for the effort. When I originally commented I clicked the &#it20;No28fy me when new comments are added” checkbox and now each time a comment is added I get three e-mails with the same comment. Is there any way you can remove me from that service? Thanks! Great! European buyers seem to get it a month later according to the UK Amazon website. It’s definitely on the list. I’m guessing no hazy New England IPA/DIPA recipes (right)? Since you love those so much…. Have a list of errata on a webpage somewhere? An example would be page 85, there are 2 entries for hops, both boiled for 60 minutes with one having 0 IBU contribution. I really wish there were more arcielts like this on the web. Got your book couple weeks ago, I really like the references, notes and tips about the techniques. Very nice pictures. Congrats! Any chance you will have an eBook version? On kindle, google play books or any other vendor? If you’re looking to buy these aritelcs make it way easier.